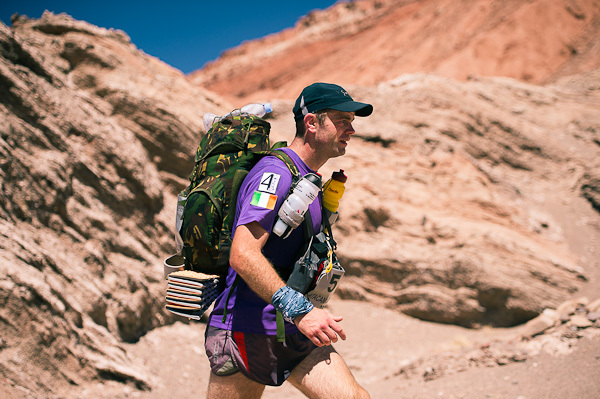 A few weeks ago we told you about Martin Hennessy from Limerick who is currently taking part in this year’s Race the Planet Atacama Challenge in Chile. Race The Planet Atacama is a 250 Kilometre, 7 day self supported race through the desert. It is one of the few places on earth that doesn’t receive any rain; it is a plateau in South America West of the Andes Mountains. We have just found this wonderful picture of Martin taking part in the race wearing his Cliona’s Foundation T-Shirt. On completion of the first day, Martin came in, in 4th place! Excellent! Martin’s niece Sarah Crowe and her family have received support from Cliona’s Foundation in the past, Martin has decided that he would like to complete this race for Cliona’s Foundation and is hoping that people will sponsor him so that he can raise as much money as possible to help other families like Sarah’s. You call also donate to Martin’s desert walk by texting CLIONA to 50300 and referencing ‘Martin Desert Walk’.